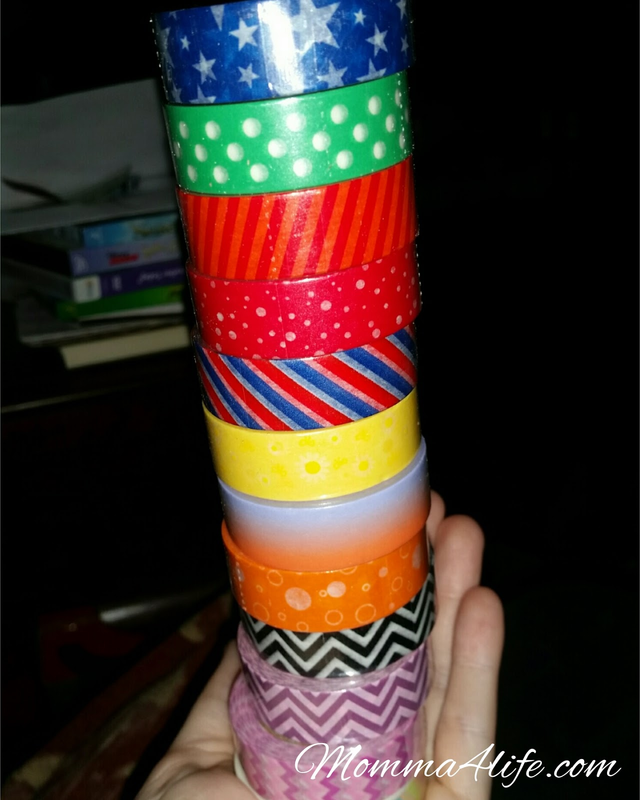 So excited to use these decorative craft washi tape's by United Tapes they have a huge variety a decorative tape everything from solid colors, to chevron print, dots, even stars. There are 12 washy rotate that come in the better 15 mm x 10 m long. They are very sticky and stayed to the paper really well they are also flexible if you make a mistake you can remove the tape and reapply it without it tearing or anything like that. You don't even need scissors for this all you need is a ruler at least that's what I use. 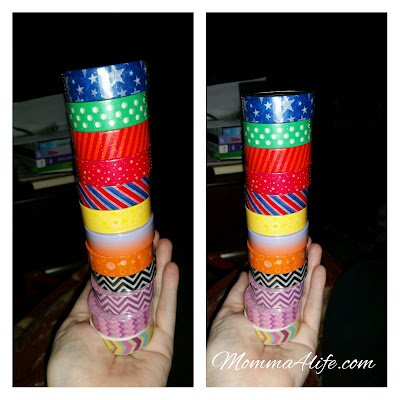 I go crazy decorating my planner and with this washi I am having a blast how many are there perfect for calendars planners, journals, on envelopes, and so much more. Even if you use these on laws they won't leave no sticky residue. School is coming up so the kids could even decorate their folders or whatever they like be different and unique. Look how colorful they are!! I love them.